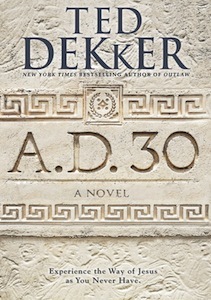 Book Review : 30 A.D.
November 1, 2014 February 26, 2016 janellecoleLeave a Comment on Book Review : 30 A.D.
Where to begin with a Ted Dekker book review?? Oh my. There is no way to clearly articulate just how much I love to get lost in the world of Ted Dekker. This book did just that too me, I was lost in the world of Maviah for days. I thought about her when I was not reading the words of her story. I went to bed wondering what it might have been like had she really walked the sands of the desert during Jesus time. But the story is really not about Maviah, not like we traditionally would think. The story is about us. It is about how we really understand our relationship with Jesus. 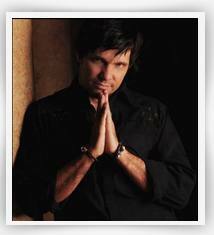 It is about how we face the storms of our life while in the boat on the water. Do we trust? Or do we fret and cry out? Ted Dekker writes truths in his stories that will rip you wide open and then put you back together again. If you let the images of the words he writes sink into you, this book (and honestly, all his others) will change you, but you have to choose to let them. I cannot get enough of Dekker. I could read his books over and over. I love the themes of redemption and forgiveness, and most of all the truth that Jesus wants us just as we are – not cleaned up, not prepared – right now. I love the reminder of so many truths that are in this story, because am I not Maviah? Have I not been rejected? Have I not heard the lies in my head when trials come? In short, yes. We all have. Needless to say I think everyone should read this book. I highly recommend all of Ted Dekker’s books, this one was great – however I will admit that at times as I was reading I wanted to slow down and savor the truths, and I had to keep pushing because of the amazing story line. Does that make sense? I could not stop turning pages, I needed to know what was going to happen to Maviah next. So, I will have to read it again and slowly, knowing how it ends. Oh yeah, spoiler alert – THERE IS A 33 A.D. – Oh my!!! I had no idea, I mean, it makes perfect sense but I really thought this was one book, one story – it does not end on the last page!! Bittersweet. Enter a sweeping epic set in the harsh deserts of Arabia and ancient Palestine. Dekker’s novels have sold over 5 million copies worldwide. Two of his novels, Thr3e and House, have been made into movies with more in production. Dekker resides in Austin, Texas with his wife Lee Ann and two of their daughters. NOTE : I was offered a copy of 30 A.D. at no cost, in exchange for an honest review.